Amazing Grace Mazes & More! Searching for information and solving puzzles is an important step in learning. Children use these tools again and again as they grow. 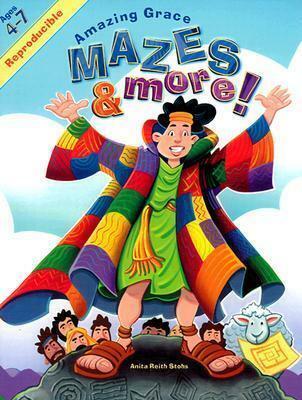 Now you can reinforce this learning method and teach children about grace at the same time with Amazing Grace Mazes & More!This reproducible children's activity book traces God's grace from the first promise of the Savior in the garden to the birth, life, and death of Jesus, His resurrection, and the life in heaven that comes to those who believe in Him. the activity book uses the familiar song, "Amazing Grace, " as well as Bible stories and Scripture passages. Just watch -- your kids' leaps of learning will be amazing!